Yes you can! 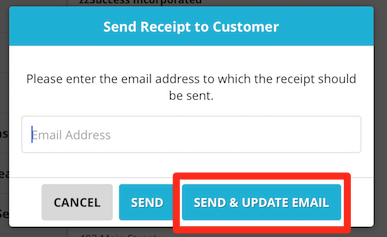 When you are sending out an email select the Send and Update Email button, as seen below. This will update the customer's information in SuccessWare21 for that location.